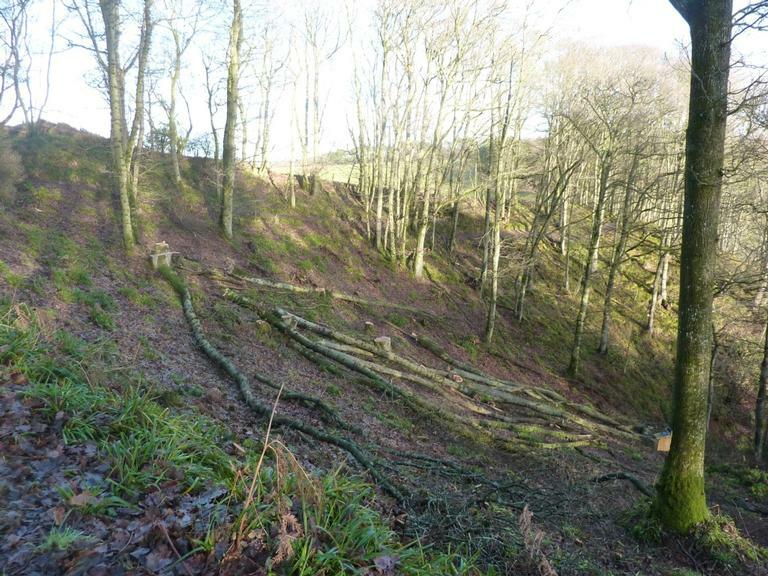 An environmental NGO is using EAFRD forest-environment payments and volunteer labour to restore a nationally important upland oak habitat on the site of an ancient woodland. Footpath improvements and information panels for visitors are included. This upland oak woodland is one of 1,450 designated nature conservation sites in Scotland that are vital to EU biodiversity targets. Woodland footpaths here are used by local people and by walkers following a 70 km path from a river gorge to the sea. The woodland has too many non-native trees, particularly beech but also sycamore, and an abundance of beech saplings but hardly any oak saplings. Without management, the canopy of this fine native oak woodland will become dominated by beech. The NGO owner of the woodland (Scottish Wildlife Trust) used this project to: i) secure natural regeneration of a well-structured native oak woodland on this ancient woodland site with continuity of cover, veteran oaks and dead wood for invertebrates and fungi, and; ii) provide a safe, robust and well signed network of footpaths for visitors, and interpretation panels to help them to enjoy and learn about the woodland. Work included felling non-native trees, their saplings and any hazardous trees, small-scale thinning of naturally regenerating oak, and spraying to control giant hogweed (Heracleum mantegazzianum) and Japanese knotweed (Fallopia japonica). Grassy areas and paths for visitors were restored, and new entrance signs and information panels provided. Trust staff and volunteers provided the labour, EAFRD funds contributed to the costs of other labour, tools, herbicide, equipment, works and signage. The objectives are on schedule and results to date are clearly visible. 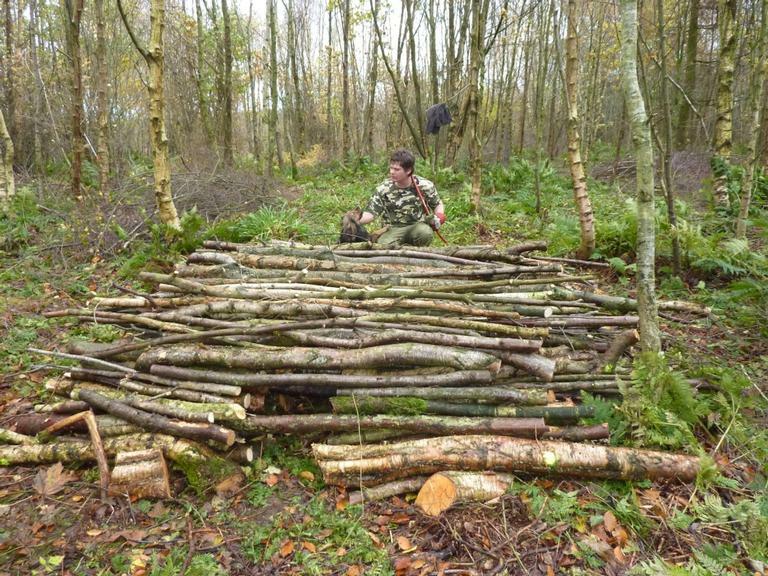 10 large clearings have been created, 5 of these in the oak woodland, and there is more dead wood left for wildlife in the clearings and throughout the woodland. The footpaths are clear and free of trip hazards, and no trees threaten public safety. The speed of natural regeneration on the ancient woodland site was fast and seedlings of rowan, birch and holly have grown in the first clearing created in a larch plantation. The main challenge was completing the work on time. Using volunteer labour can be unpredictabile in terms of skills, attendance and motivation. The teams also work on other reserves so slippage in timing on one could have a knock-on effect on the others. Despite the challenges, the Trust would not want to change the type of labour force because it benefits the local community, the site and the Trust, while providing satisfying work experiences.